RESISTANCE premieres tonight at 10 PM on the Disney Channel! Some news about RESISTANCE has made it out in Germany. Check out THIS JEDI NEWS ARTICLE, which has information about about the series premiere and a synopsis of the first episode. The 1st season is set to run for 22 episodes. And the German premiere is scheduled for October 13th on the Disney XD network in Germany. But it is set to air on the Disney Channel in the U.S. At this time there has been no announcement about the U.S. premiere. Check out THIS YAKFACE POST. It shows some concept artwork for RESISTANCE. Think I might pass on this one. 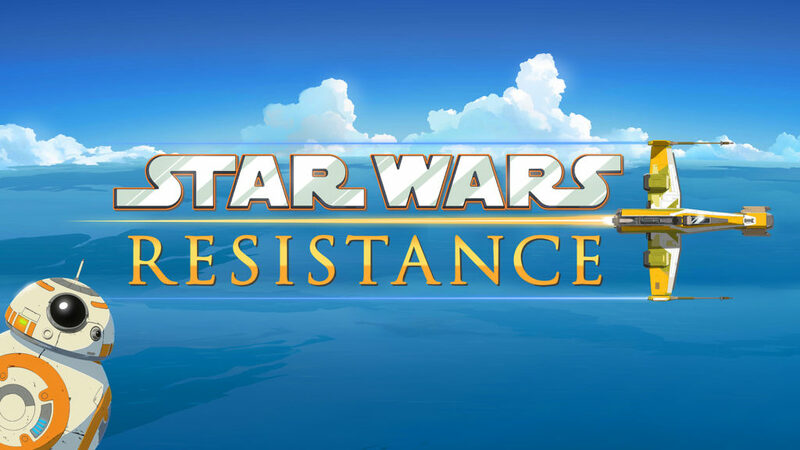 ALL-NEW ANIMATED SERIES WILL FOCUS ON THE ERA BEFORE STAR WARS: THE FORCE AWAKENS. This fall, welcome to the Resistance!